Not meaningful statistically but this thread is for Democrats who are voting for Republicans in the midterms. It also looks to me like The Democrat party is self destructing, but it is hard to know how Democrat voters see it. I think it will take a few more election cycles to see what is going to happen. However, I think the deep state / shadow government (the people behind the elected officials) are using the Democratic party as a disposable tool. They want to regain the power they lost when a non-establishment candidate won in 2016 and they have nothing to lose. If they don't get power back the Democrat party is useless to them anyway. So they are using in a last ditch effort, trying to get back power, and they don't care if they destroy it in the process. Another theory is that there is very low participation rate in the primaries and only the most extreme leftists Democrats vote in them. The means the candidates are forced, over the years, to adopt more and more extreme positions in order to win the party nomination. The result of all those years of selecting for more and more extremist candidates has led to the current situation where they are alienating the moderates and seeming to commit political suicide. And Trump has to some extent stolen the middle ground which is also forcing the Democrats further left to distinguish themselves from the Republicans. I also think a big part of the problem for the Democrats is that for more than a generation the left has stunted their intellectual development by replacing free speech with political correctness and they no longer have the ability to think rationally. It is not conducive to maintaining the popularity of a movement. I just finished reading "The Art of the Deal" written by Trump in 1987. In reading the book I can see where he got the skills he uses in politics and governing. The book discusses some the the real estate deals he made. These deals involved coordinating many individuals and organizations including business partners - people and corporations, architects, lawyers, building contractors, financiers, state and city government agencies. He had to persuade financiers to lend him money, he had to persuade partners to join him and support his plans, and he had to persuade sometimes multiple city and state government organizations such as zoning boards to approve his plans, casino licensing boards to allow him to operate casinos, and other government authorities to grant tax breaks. He had to attract commercial and residential tenants to his properties and customers to his casinos which involved sales, marketing, publicity and persuasion - he learned the value of both good and bad publicity. He had public feuds. And he had several projects going on at any given time. He is a fighter who will stand up as a matter of principle even when caving in would be better for him financially. All that by 1987. It is no wonder that by 2016 he was most able candidate in the race. Do you know anything about this guy - is he 'far right' in the sense of being pro-Trump, or is he 'far right' in the sense of being a sinister individual? Mitchell is a conservative not a neo-nazi. He has an internet TV show somewhat like Alex Jones. He is a bit of a self promoter. I don't trust him unless, like with any other source of information, I can verify what he says from other reliable sources. "What most non-Latinos don’t grasp is that Latinos are ambivalent about illegal immigration. They have a front-row seat not just to the pain of deportations, but also to how many immigrants commit crimes or abuse social services. If you were wondering about this post I don't really know. I assume anyone who is a conservative is called Hitler/Nazi by the media so if they say far-right I assume he is a centrist or conservative. But I don't really know anything about him. But it is interesting because there seems to be an international trend Brexit, Trump, Bolsonaro, and others. Bill Mitchell is your standard pro-Israel NeoCon Republican Retard. His shtick is to be a Trump cheerleader no matter what. He supported Trump's bombing of Syria. The "far-right" hates Mitchell's guts, and rightly so. A minority of Latinos oppose Trump because they know ethnic solidarity will give them more political power in the long run. Here is a longer list of 573 instances. 562) March 12, 2016: Man tries to tackle Trump at campaign rally. 564) March 9, 2016: Trump billboard removed due to repeated vandalism in West Town IL. 567) March 1, 2016: Former Daily Show contributor Larry Wilmore “jokes” about killing Trump. Some leftists, desperate to defend their party’s bruised reputation have complained that many of the instances are not “actual violence” against right wingers. Indeed, some instances are death threats against right wingers, famous Hollywood types calling for assassination of right wingers and instances of theft or vandalism of personal property of right wingers. Apparently Bolsonaro is a climate sceptic! "Before going any further I want to take a moment to address the horrific shooting at the Tree of Life synagogue in Pittsburgh. It was terrible. Eleven Americans were brutally murdered in an evil anti-semitic attack. Yesterday I traveled to Pittsburgh to meet with the families and first responders. And I especially want to thank rabbi Jeffrey Myers he was terrific. He was terrific. Fine man. We grieve for the families of the fallen and we send our eternal gratitude to the law enforcement officers who sustained severe injuries taking down the gunman. They were incredible. They were incredible. They were incredible. Could have, been, as bad as it was, and it was bad, it could have been far worse. They were unbelievable. And they got there fast. We pledge our resolve to remove the vile poison of anti-semitism and so many other problems from our world. And we reaffirm our unbreakable solidarity with the Jewish people. Thank you. Yesterday's visit to Pittsburgh was about coming together as a nation to comfort and to heal. After this day of unity and togetherness I came home and sadly turned on the news and watched as the far-left media once again used tragedy to sow anger and division. Sadly they took a small group of protesters far away from where we were, because we could not have been treated better, the first lady and myself. But we're representing the presidency and they did everything in their power to try to play it up and push people apart. That's what's happening, they're pushing people apart. It was fake and it was make-believe what they said. I came home look forward to seeing it and it was sad. And when we talk about division this is a big part of the division right there. The far-left media has spread terrible lies and stories about the Trump administration and the tens of millions of people who make up our great movement the greatest political movement in the history of our country. The greatest. The greatest. The greatest movement in the history of our country and they don't even refute that fact. It is possibly the greatest political movement anywhere. I can't think of anyplace else. It's because of you. The movement is you, and it's about you, not me, it's about you. I am proud of the fact that my administration has boldly revitalized our nation's historic bond with Israel and moved the US Embassy to Jerusalem. And remember many presidents have promised to do that. Many many many presidents, "we are going to move the embassy to Jerusalem" and then they don't do it. The reason is it is not an easy thing to do. I've done it and by the way the embassy is already built it's already open and it came in 1 billion dollars less than people thought. They should like that. They should really like it. We've taken aggressive measures against the terrorist groups that seek the slaughter of innocent people all around the world for lots of different reasons. It's terrible. We've taken unprecedented action to confront the regime in Iran. And we have ended the horrible one-sided Iran nuclear catastrophe. And Iran is a much different country today than the country that started off at the beginning of our administration almost two years ago. We have forcefully condemned hatred, bigotry, racism, and prejudice in all of its ugly forms. But the media doesn't want you to hear your story. It's not my story, it's your story. And that's why 33% of the people in this country believe the fake news is in fact, and I hate to say this, in fact, the enemy of the people. The left-wing media doesn't want to solve problems they want to stoke resentment. It has to stop. They believe that progress isn't good for profit or for whatever reason it is they're playing their game. Our movement is about safe homes, great jobs for every citizen. Our movement is about love for our fellow Americans. Our movement is for everyone and belongs to anyone who wants to build a better future. You can do it right here in the USA, right here." This year is the first year I feel a sense that the outcome of the midterm election directly affects my wellbeing so I am voting in the midterms out of a sense of self interest rather than civic duty or team spirit. My sense of urgency is higher than it was in 2016. . In fact, with one exception where a girl kind of coaxed me into voting since I was with her when she went, I've never even voted. But in this case I cannot not vote. And I'll vote right-wing across the board, most likely. 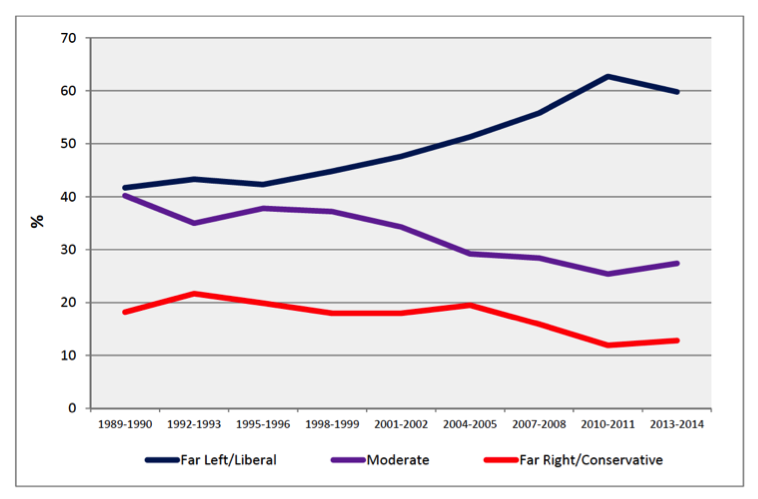 I think the whole left-right axis has somehow rotated - politics has changed but the names of the parties remained the same. If this is your first time voting for a long time, do check that you are properly registered to vote - I don't know the details because I am not American. I think I remember someone saying on the forum here that people who voted for Trump were fools, they would be disappointed because Trump could not be trusted to keep his campaign promises - he had changed positions so many times in the past. I have to say that person was wrong. Here is a partial list of Trumps accomplishments. My only concern when voting for Trump was his trade policies but what he has done is so far is not anything I object to. I am not against reciprocal trade agreements (or using tariffs as leverage to get them), or tariffs to protect industries of importance to national security. At this point I have to say that I have gotten more satisfaction from voting for Trump than from any other vote I have cast. We are not going to reward companies that constantly raise prices, which in the past has been most companies. Frankly Alex, [Health and Human Services Secretary Alex Azar] used to run one of them so nobody knows the system better than Alex. That's what we needed. Our, and a very successful one, our plan will end the dishonest double-dealing that allows the middleman to pocket rebates and discounts that should be passed on to consumers and patients. Our plan bans the pharmacist gag rule which punishes pharmacists for telling patients how to save money. This is a total ripoff and we are ending it. We are getting tough on the drug makers that exploit our patent laws to choke out competition. Our patent system will reward innovation but it will not be used as a shield to protect unfair monopolies. We will also demand fairness overseas when foreign governments extort unreasonably low prices from U.S. drug makers. Americans have to pay more to subsidize the enormous cost of research and development. In some cases medicine that costs a few dollars in a foreign country costs hundreds of dollars in America for the same pill with the same ingredients in the same package made in the same plant and that is unacceptable. You can look at some of the countries, their medicine is a tiny fraction what the medicine costs in the USA. It's unfair and it's ridiculous and it's not going to happen any longer. It's time to end the global freeloading once and for all. Deny asylum to anyone who enters the country illegally. Deny asylum to caravan members - they should have accepted asylum from Mexico. End catch and release - illegal immigrants and asylum seekers will now be housed in tents instead of being released when there is insufficient space in permanent facilities. It also sounded like they will provide facilities where children can be housed with their parents so they will not have to be released - this will end an incentive to bring children across the border illegally.